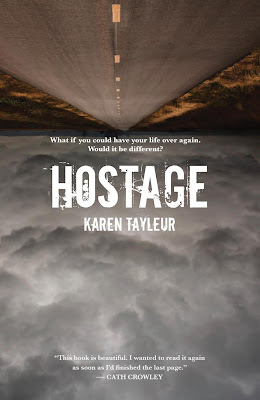 Karen Tayleur is the author of Hostage (as well as a number of other books for younger readers and teens, which you can find here) which I reviewed recently. 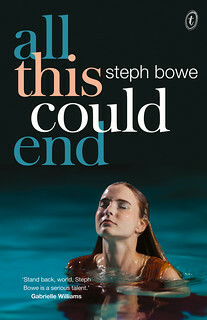 It's a brilliant novel, with such a genuine teenage voice. 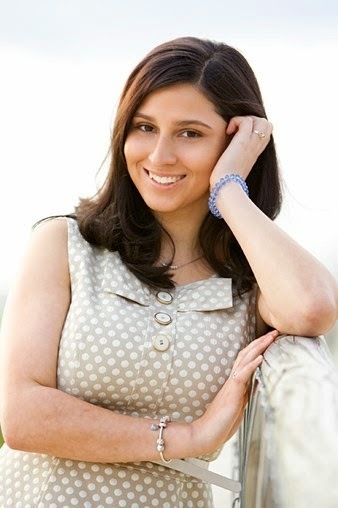 Here I interview Karen about Hostage and her other writing projects. 1. Where did the idea behind Hostage originate from? I have always been fascinated with the idea of being in the wrong place at the wrong time (or is that the right time?). I wanted to place my character into a situation that she could just as easily not have been in. I wanted the position of power to change throughout the story from the captor to the victim. Tully is not only a hostage because she is taken against her will on Christmas Eve, but also a hostage to her past which could destroy her if she allowed it to. I don't always start at the very beginning (ala Sound of Music). I had the end of Chasing Boys before I started writing that. Sometimes I have a clear sense of who my character is. I had the beginning of Hostage before I wrote anything down. But Tully evolved as a character. I learned who she was as I wrote the story and her real character wasn't clear to me until a third of the way through the writing process. Once I understood who she was it was much easier to understand her motivations and it was easier to write. 2. What made you decide to write it the way you did - broken into 'Tully's story', the actual events occurring and memories from Tully's childhood? I also wanted to explore how quick we can be to label people. 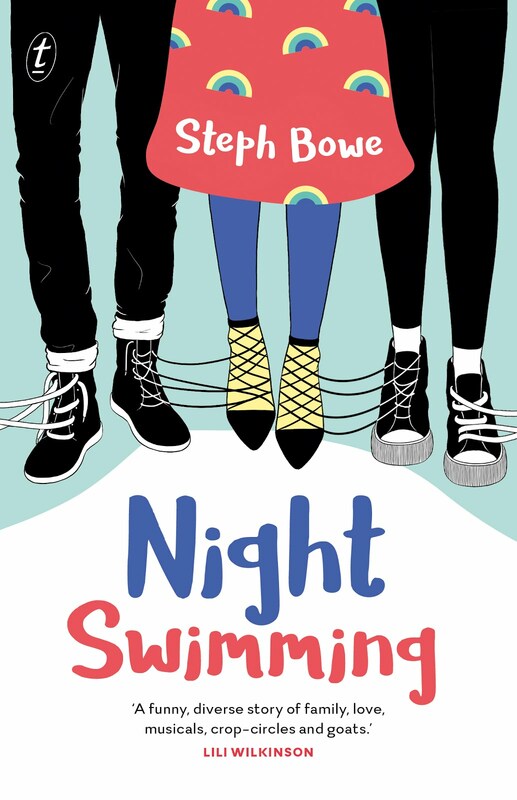 I wanted the reader to encounter Tully as a brash teenager who was hard to like and to peel away at her layers to find the lonely and sometimes frightened person within. Everyone has their version of the truth. I wanted to show the different 'truths' of Tully's story, with her own narrative, third person, and momentos from her memory tin. I wanted to engage the reader, to get them to take the journey of finding out who Tully really was and what really happened. 3. Was it a difficult novel to write? Was the writing process different than it was writing Chasing Boys? This has been my most difficult writing project so far. Chasing Boys is a mostly lineal story with a few flashbacks. Tully's story is a recount of events that happen over 24 hours but also a series of flashbacks until her earliest memory. I used Scrivener to help me plan it, and I eventually bought two corkboards and mapped out the story on different coloured cards - each card relating to what the chapter was ie 3rd Person police station, first person narrative, 3rd person story and memory tin. 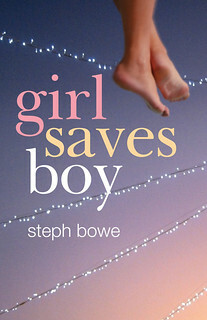 Chasing Boys was a much lighter novel. I wrote it for my daughter who hates reading so I deliberately made the first few chapters short. Hostage is a more complex novel, both in its execution and themes. 4. What inspires your writing and you as a person? Lee jeans, Miller Shirts, bad school sports uniforms and hanging out with the Chickaboom Girls. 7. Are you working on something new at the moment? Could you reveal a little something about it? Yes I am and no I can't. I am incredibly superstitious re talking about anything I'm working on. I can say that it's YA. 8. Do you prefer writing for teenagers or younger children? Or do you get something out of writing for both age groups? At the moment I prefer writing for teens. Maybe that's because that's where my own kids are at. Also, someone once told me that authors write at their emotional age level. If that's true then I am 16 years old (of course the mirror tells me otherwise...) which makes it easy for me to tap into YA. Writing for younger children is much harder. I have to delve back further into my memory to get into the psyche of a younger child. Thank you to Karen Tayleur and Kristen at Black Dog Books.